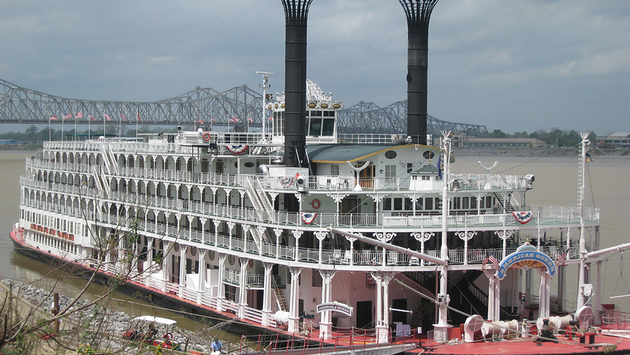 PHOTO: American Queen now features more cruises beyond the Mississippi and is the company is expanding into the Pacific Northwest. For the past couple of weeks I’ve been reading a number of columns and articles focusing on the top travel stories of 2013. The topic is always interesting because it reminds us about all the major industry events that happened over the past year. Perhaps a more valuable column, however, is a forecast for what’s going to happen this year. So what follows is an attempt to summarize the major trends and news stories for the cruise industry in 2014. I’ll follow up with some other predictions for airlines, tours, hotels and resorts, and travel agents. Some of these predictions are fairly reasonable since they follow existing trends. But I’ll leave you to decide where I’m right and where I’m wrong. 1. The river cruise market will continue to grow exponentially: This is a no-brainer, to be honest. The river cruise segment has been growing nonstop for the past few years as more and more travelers discover the joys of cruising on the rivers of Europe and beyond, and as more product becomes available on rivers throughout the world. There are actually more river cruises vessels being introduced in 2014 than oceangoing cruise ships. Granted, a river ship holds less than 200 passengers while oceangoing vessels are 10 or even 20 times that number, so in sheer number of berths river cruising is not growing as fast as ocean cruising. Nevertheless, the growth in the river market continues unabated, and is now heading into other areas of the world, including Southeast Asia, South America, North America and even Africa. The only thing potentially slowing that growth in the future is congestion on the rivers of Europe. 2. River cruise lines will start targeting younger clients and families: Some river cruise lines already offer special family departures, but I believe the number of voyages for families will increase as the lines begin to understand just how attractive river cruises can be for families seeking to visit Europe and more exotic destinations. Some river cruise lines also may begin to understand that they can venture beyond their 55-plus age demographic and start to market their products to younger clients in their 40s and even 30s. If river cruising is truly to continue its growth, it will have to target new generations of travelers at an earlier age. 3. Oceangoing cruises will become more all-inclusive: Cruising has always been thought of as a more inclusive product. But the truth is, aside from the luxury and high premium segments, there are more extra charges on cruise ships than the initial cost of the cruise itself. My view is that will start to change, and indeed it already is. Some premium level lines are starting to include selected shore excursions and even some beverages. That may carry over to other segments of the industry as guests demand to know in advance just what the total cost of their vacation will be. Of course, that’s good news for travel agents, who may start getting paid commission on the total cost of the cruise, including many things now purchased as extras on board. 4. Destinations will be a differentiator for higher-end cruise lines: New and more exotic ports of call have always been a staple for luxury and premium cruise lines, whose smaller ships have many more options in terms of where they can stop. The pressure to introduce new destinations will become even more intense, however, as these lines seek to attract more repeat guests. The other major difference among cruise lines will involve how long they stay in ports of call and what depth of experience they offer of local culture, cuisine and history. Several lines have already scheduled multiple overnights in top ports and that trend will continue this year and into 2015 as guests demand a more immersive experience from their cruises. 5. Large cruise ships will focus on activities and iconic attractions: In contrast to small ships, larger vessels, which now seem to average 4,000-plus passengers, will continue to focus on offering new, more exotic entertainment. They will also depend on the allure of multiple dining options, as well as attractions that are either completely original or have never have been featured on board a cruise ship before. We’ve seen the trend over the years—whether it’s a climbing wall, a surfing machine, a rope course or a Formula 1 racing car simulator. Large cruise ships these days effectively have all the entertainment options required by guests, to the point where they don’t even really need ports of call. New large cruise ships also have all the dining options one could imagine to accommodate guests’ tastes. And they are offering new, highly professional and imaginative shows that reflect the best of Broadway and Las Vegas. Will these trends help to increase cruise passenger numbers and guest satisfaction scores even more for the industry? We’ll have to see what 2014 brings, but my guess is it will be another record year for the cruise business.